Australia’s Top Secret Swimming Spots! On the other hand, you might also think of bustling, sweaty crowds of noisy beachgoers, all scrambling over each other for some sand to stick their umbrella and Esky into. 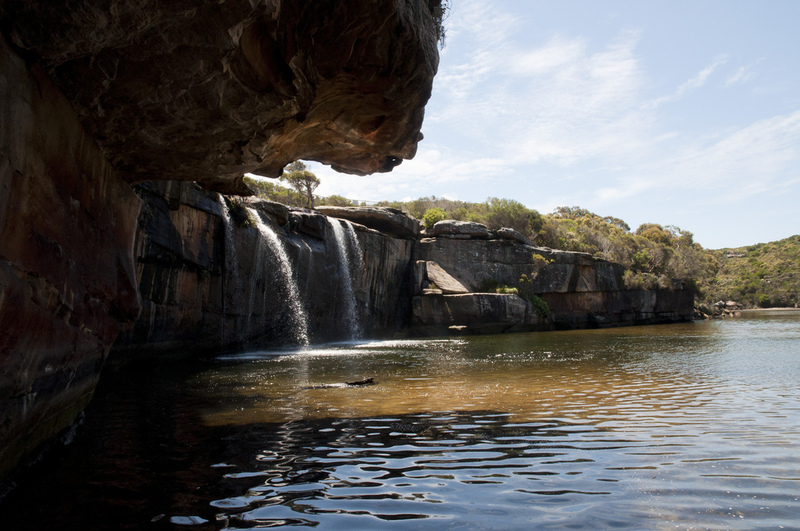 However, take a wander off the beaten path and you’re bound to stumble across some of Australia’s unique swimming spots. We’re talking the quiet, serene spots that offer the kinds of swimming experiences tourists are willing to fly halfway across the globe for, not to mention pick the country known for its insane populations of terrifying sharks and crocodiles. Here are just a few of these top secret places. Warnings up front: like its indigenous wildlife, Australia’s landscape and waters can be potentially hazardous. Be sure to consult with local councils and tourism boards before you roll up in nothing but your boardies. Not often the first place you think of for a stunning beachfront, Tasmania does pack its sizeable share of picturesque swimming spots. A mere hour’s drive from Launceston, Bakers Beach might just be the best of them. It sits almost directly in the middle of the state’s northern coast, a gorgeous stretch of sun-drenched sand with the breathtaking Narawntapu National Park serving as an equally gorgeous backdrop. If you listen closely, you can also pick out Narawntapu’s iconic soundtrack: the Tasmanian Devil. Floating just off the coast of Adelaide, Kangaroo Island is almost impossibly idyllic. It packs incredibly wild landscapes into its meagre length of 155km, brimming with “soaring cliffs, dense bushland, towering sand dunes, wetlands and massive arcs of bone white beach,” according to Tourism Kangaroo Island. 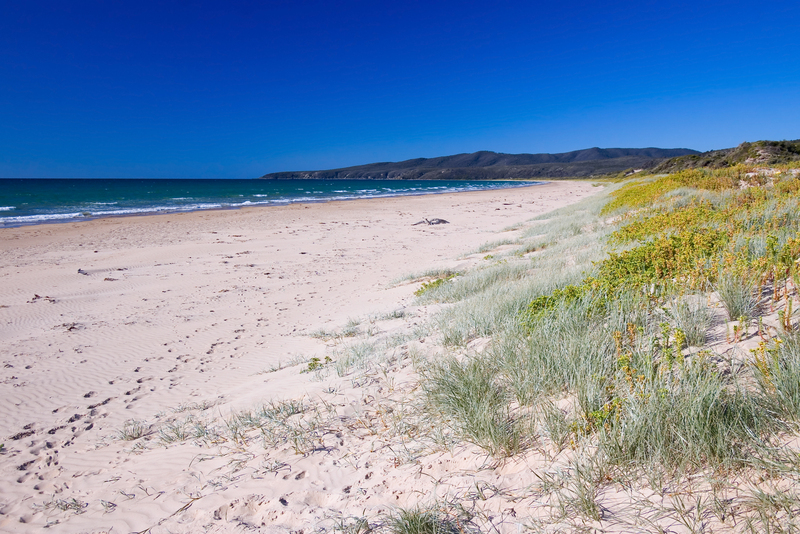 Stokes Bay hides on its northern coast, where opportunities for unforgettable swimming and encounters with wildlife (including dolphins in the nearby Emu Bay) abound. And that doesn’t even account for its amazing accommodation or sailing hotspots, either. 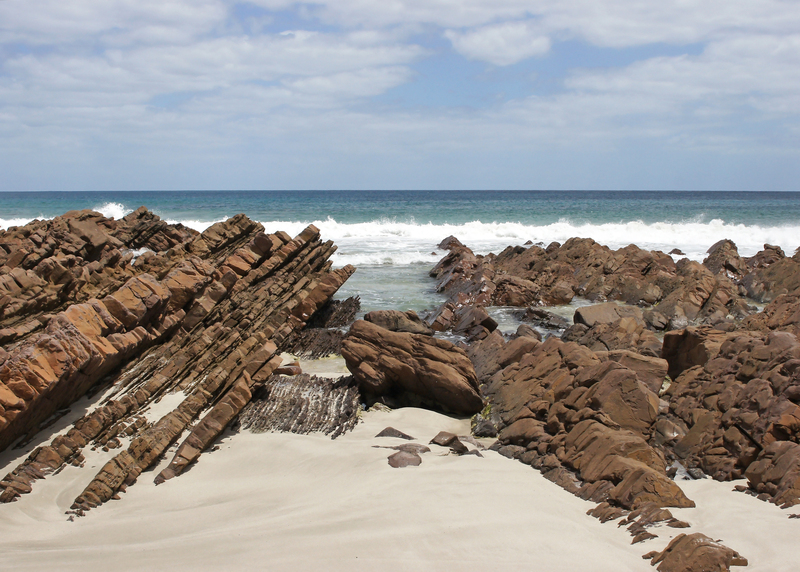 For an all-rounded Australian beach experience, pencil in Kangaroo Island. Wilson’s Promontory is a renowned camper’s and hiker’s hotspot. On first glance, you’ll notice this national park boasts sweeping countryside, dense forests and formidable mountain faces. However, wedged in between are some of Victoria’s most iconic stretches of beach. Of those, there are few more iconic than Squeaky Beach. Named for the fun ‘squeak’ its rounded quartz sands let out when you waltz through, this fairly isolated spot truly deserves mention amongst Australia’s top beaches. Flanked on either side by rock formations and forests, Squeaky’s real draw is its staggering stretch of white sands and azure water. It’s simply a must-have swimming experience. This is essential advice for any visitor to Sydney: dodge the seething tourist hot spots, the crowded, bustling sights like Bondi Beach, the Opera House or the Harbour Bridge. They’re on every postcard anyway. Instead, take the hour drive out of the CBD to Wattamolla National Park. It’s a swimmer’s holy trinity: lagoon, beach and waterfall. It does take a little hiking to get out to the right spot but, if you pick the right time of year, you have the opportunity to glimpse migrating humpback whales, sea eagles and osprey out at sea. Quite the payoff on a sweltering summer’s day. Before delving into this wondrous watering hole, you should know that if you stick around Natural Bridge after dark, you have a chance at witnessing one of nature’s great light shows: the glow-worm. Just sayin’. Moving on, Natural Bridge is nestled in the historic Springbrook National Park, a huge expanse of pristine Australian wilderness. 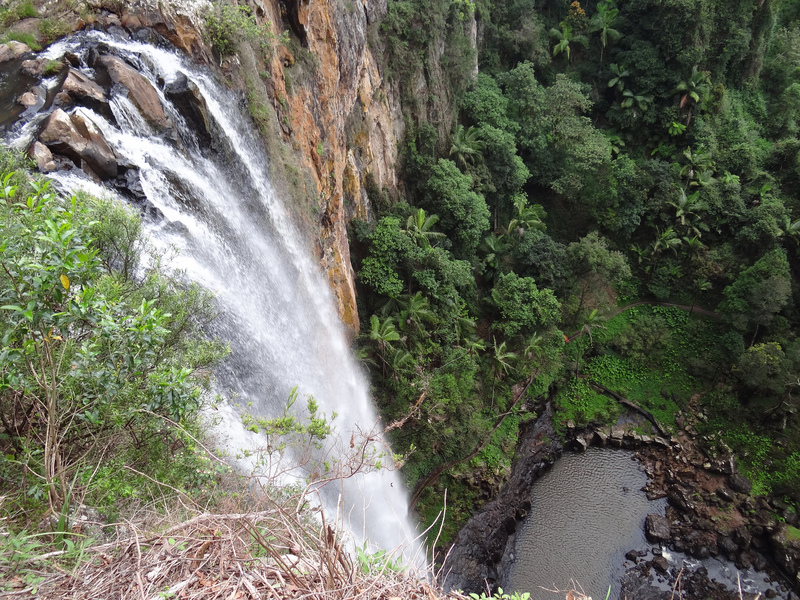 A magnificent waterfall, an arched cave, a subtropical rainforest and the titular natural rock bridge all accompany this particularly spectacular swimming spot. Also, glow-worms. That’s surely worth a day’s trip. 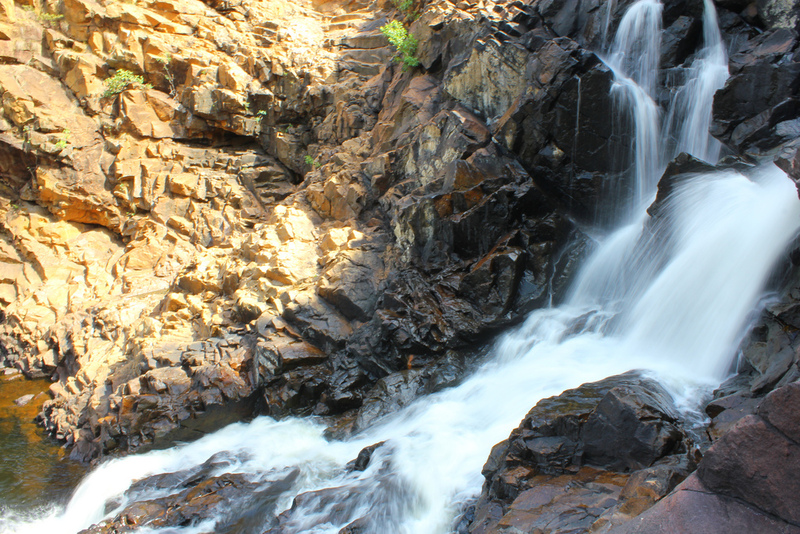 The Northern Territory might be the wildest of Australian destinations, but Edith Falls provides you with a slice of something else altogether. Tucked away in the renowned Nitmiluk (or Katherine Gorge) National Park, this lagoon has some of Australia’s most idyllic inland swimming. If you’re pressed for time, the Lower Pool, a brief 150m walk from the car park, is a beautiful, shimmering place to have a dip. If you’re feeling more adventurous, Upper Pool and the Sweetwater Pool, while requiring a little off-track hiking, boast pristine waters that are just begging for a day of blissful floating and wading. 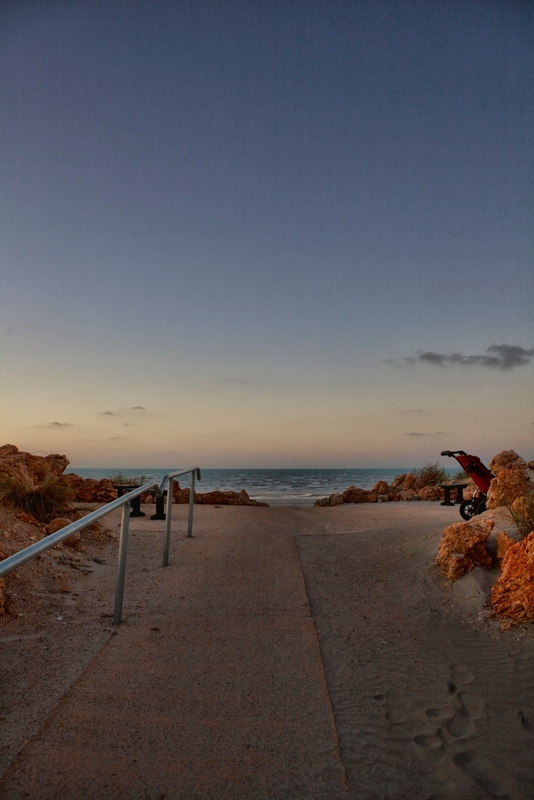 Odds are, the picturesque beaches you find in magazines and on TV are from Western Australia. I’m sorry Queensland, our western state is just so much prettier. It’s nothing personal, though, seeing as this state lays claim to an entire, uninterrupted quarter of Australia’s coastline. This makes finding the perfect spot in WA a bit tricky, what with an unimaginably huge expanse of beach to comb through. 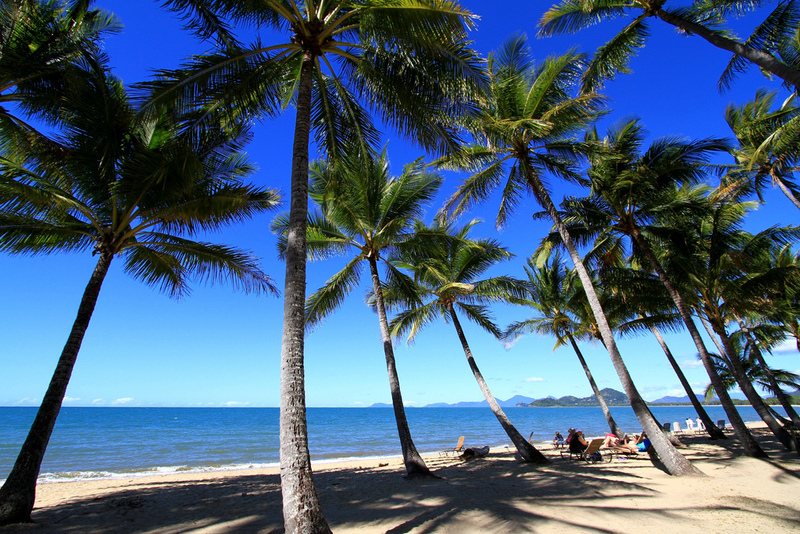 Luckily, there’s a perfect place to start: Eighty Mile Beach. Halfway between Broome and Port Hedland, this stretch is exactly as its title suggests: miles and miles of pristine views of the Indian Ocean, ideal for any swimmer, anywhere. It’s also famous for its fishing opportunities, both for humans and migratory birds alike. However, when all’s said and done, the undeniable jewel on Eighty Mile’s crown is Cable beach: the perfect spot for swimming and incredible photos at sunset. So there you go, all of our secret swimming spots are exposed! But let’s keep this secret between you and I as we don’t want all of those pesky beachgoers cluttering up the place. Next time your looking for a quiet spot to soak up the serenity of the Australian Landscape, head out to one of these picturesque spots and we’ll see you there!